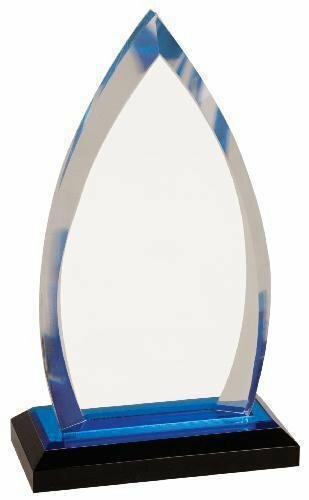 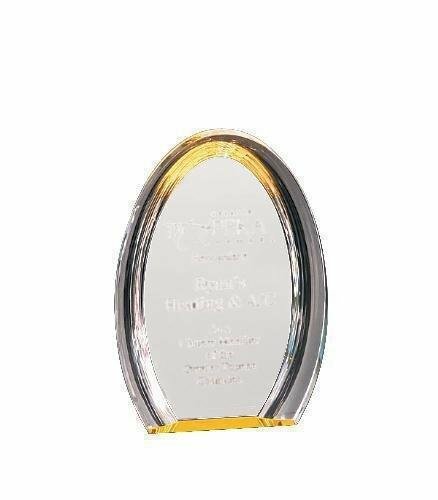 This Oval Halo Acrylic Award is a great award for employee appreciation, achievement or any type of award presentation. 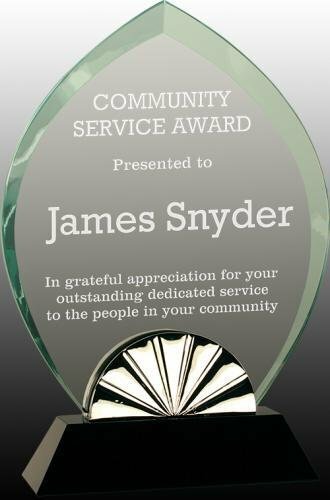 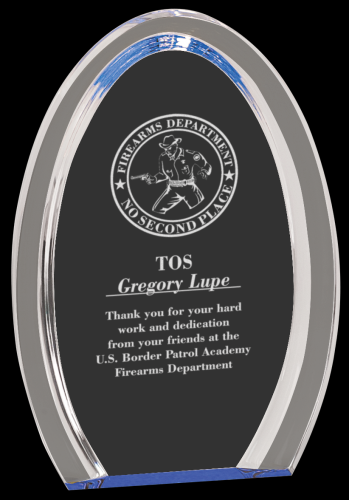 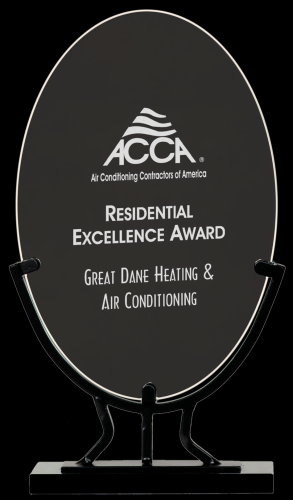 Engraving to a frosted white color, this acrylic award is available in multiple sizes. 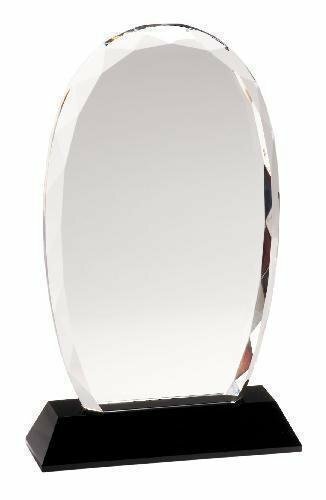 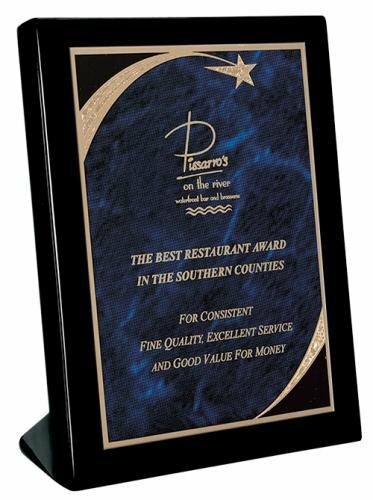 The Oval Peak Impress Acrylic Award boasts an oval shape peaking at the top. 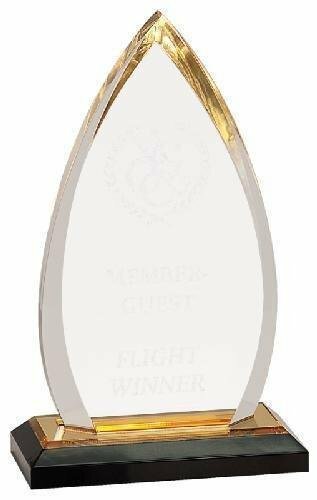 Perfect for an employee recognition award, employee of the year award, achievement award or sales award. 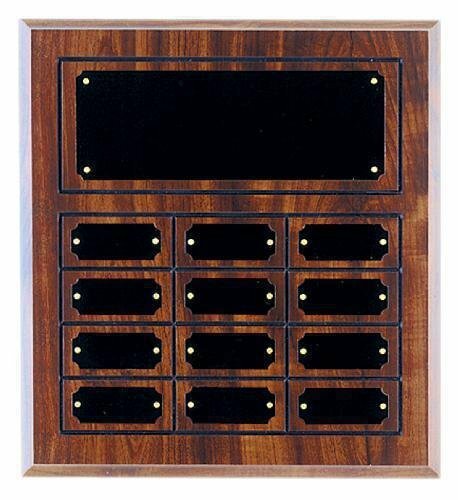 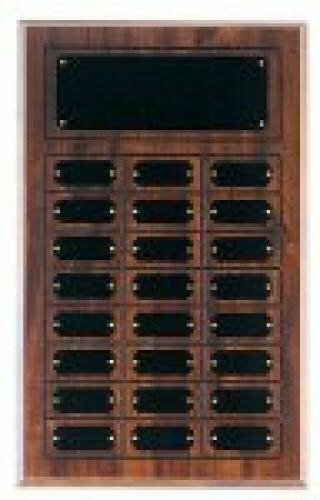 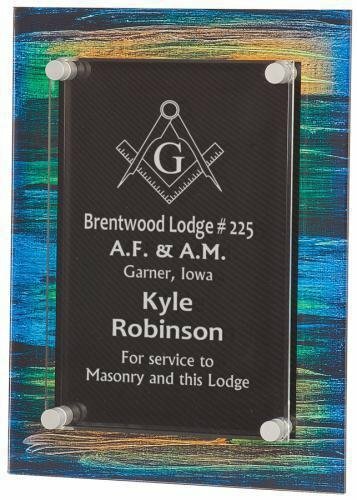 This Cherry Finish Perpetual Plaque with 12, 18, or 24 Plates is a great way to create an monthly recognition program. 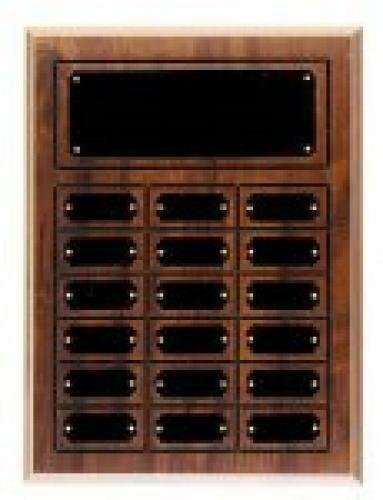 Excellent for employee recognition, donor recognition, church recognition, achievement awards and more. 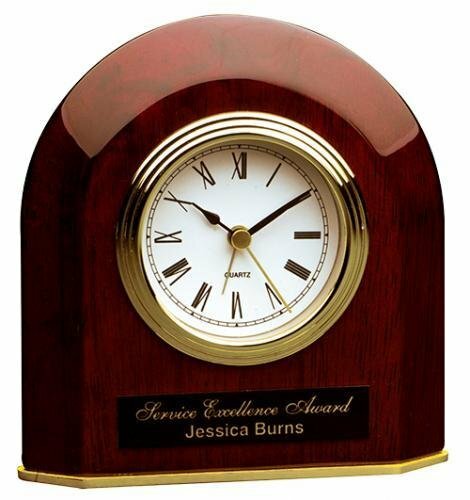 This elegant arch desk clock has a 3" clock face with black Roman numerals and hands and a polished gold bezel. The stunning high gloss piano finish is enhanced by the beveled edges that add dimension. 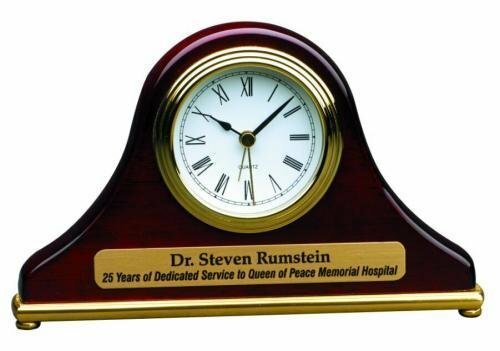 There is plenty of room to personalize under the clock face for your your event to create an incentive or personalized gift that is useful as well as beautiful.